Prepping and educating yourself before taking your off-road vehicle for a drive. You will want to know what trails are best and how utilize your vehicle's features to their optimum potential. This will maximize your experience and keep you safe. 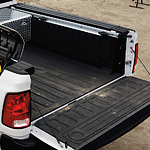 The RAM 2500 gives heavy-duty pickup truck owners a reason to come back. This truck offers superb performance and exterior features that make it even better. Let’s see what is new. 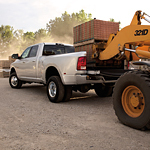 The RAM 2500 allows you to build your ultimate towing package. You can have the trailer hitch for a gooseneck trailer or fifth-wheel installed right at the factory. The seven-pin connector makes hooking up the lights quick and easy. The hitch is installed right behind the rear axle crossmember, which means that it is sturdy enough for the toughest jobs. Whether you're navigating busy Geneva streets or enjoying the moonlight on the open highway, the lights on the new Jeep Grand Cherokee can keep you safe. 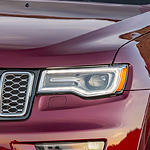 This popular SUV is available at D'Amico Chrysler Dodge Jeep Ram with modern lights that provide you with a clear view of the road ahead. They can also make sure that you're seen by other drivers on the road. Drivers love the all-new 2019 Jeep Cherokee. The compact SUV has received a number of critics' high praise, as well as top ratings for interiors and safety. 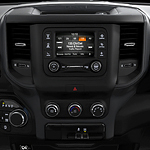 Part of the comfort is in the spacious seating and cargo space, but it's also the new technology upgrades and other options that come standard with the Cherokee. The standard upholstery includes cloth, but it's easy to upgrade and get the leather upholstery as well as a leather-wrapped steering wheel. 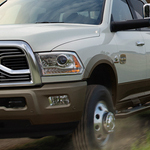 The Ram 3500 is one of the most popular vehicles in its class, and may be available at D'Amico Chrysler Dodge Jeep Ram. This is because this truck has a variety of exterior features that almost any driver would find useful when driving it. For instance, the side mirrors can be operated by the push of a button. The handsome Ram 1500 is rated as one of the most popular light-duty pickup trucks for 2019, but it certainly is heavy-duty when it comes to safety features. It offers an extensive array of sensors, cameras and sophisticated software programs designed to keep you safe wherever and whenever you are on the road. Its unique Blind Spot Monitoring System encourages safer maneuvering on the road when towing boats, trailers or other heavy equipment. It automatically senses trailer length, something you have to do manually in other pick-ups. The safety and security inherent in the Jeep Cherokee come not only from its robust body structure that is constructed of high-strength steel but also from its intelligent driver technology. Guarding the front is Full-Speed Forward Collision Warning to alert you to frontal hits and in the back, Rear Cross Path Detection warns you of vehicles trying to cross your backward direction. The ProMaster City from Ram is a popular cargo van and passenger wagon that's available at D'Amico Chrysler Dodge Jeep Ram. It's built to keep drivers in Geneva safe on the road no matter what they're hauling. The van has a robust suspension system and standard safety features to prevent stability issues. The popular 2018 Chrysler 300 full-size luxury sedan is in our showroom at D’Amico Chrysler Dodge Jeep RAM in Geneva, NY just waiting for you to come in and ogle its interior design features. You won't be able to resist its comfortable seating and Driver Information Digital Cluster Display. Black cloth upholstery is standard on the 300 Touring and Touring AWD. If you've been searching for an incredible vehicle, you aren't alone. Many adults, families, and couples search for a new vehicle they can add to their life. The right car should do more than just get you from Point A to Point B. It should be something you can depend on.